Zimbabwe's new president, Emmerson Mnangagwa, has appointed the country's former military commander as one of his two vice-presidents, state-run media has reported. The move deepens concerns about the military's influence after its ousting of Robert Mugabe last month. 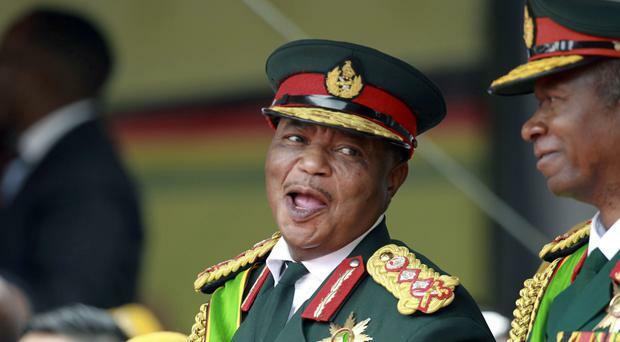 The appointment of Constantino Chiwenga was widely expected after his retirement earlier this month. He had to retire from the military to take up the position, according to the constitution. Mr Mnangagwa took power after Mr Chiwenga led a military takeover in the southern African nation that forced Mr Mugabe, then the world's oldest head of state at 93, to resign amid impeachment proceedings after 37 years in charge. Mr Mnangagwa has appointed former state security minister Kembo Mohadi as his other vice-president, the Zimbabwe Herald newspaper reported, saying they were expected to be sworn in on Thursday morning. Over the weekend, Mr Mnangagwa appointed Mr Chiwenga and Mr Mohadi as vice-presidents of the ruling Zanu-PF party, signalling Wednesday's move. Two former army generals already hold powerful posts in Mr Mnangagwa's cabinet, while another general was appointed as ruling Zanu-PF party commissar at a congress on November 15. Many Zimbabweans had supported the military's move to step in and force Mr Mugabe's ousting, cheering soldiers during demonstrations. But in response to rising concerns about the military's presence weeks after Mr Mnangagwa took power, new defence forces commander Valerio Sibanda on December 18 announced that the military intervention, dubbed Operation Restore Legacy, had officially ended. "Normalcy has returned to our country," he told reporters, saying that the military would hand back "normal day-to-day policing duties" to the police.